Spring is upon us. Flower buds have formed on the maple trees and their leaves will soon unfold. Spring wildflowers—trillium, mayapples and spring beauties—will blanket the ground in our local woodlands. And thousands of beautiful songbirds are migrating throughout the Midwest right now. It’s a magical time of year. It’s also a good time to think about garden inspiration for the coming season. More than a decade ago, homeowners relied on garden magazines, newspapers, books, HGTV and do-it-yourself shows, and a few web sites for ideas and inspiration that could help them fix up their landscape. 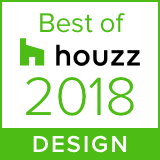 That evolved with online resources like Instagram, Pinterest, Houzz and many other home design sites. Of course, magazines, newspapers (online and in print) and new garden books continue to provide state-of-the-art design examples. If you enjoy visiting Chicago, especially the restaurants in Lincoln Park, you’ve probably noticed tiny, but inviting private courtyards. These small gardens often have nooks for reading or enjoying morning coffee. On a larger property, we design outdoor “rooms” for just that purpose. A stroll through a meadow or a prairie (visit the Morton Arboretum or the Chicago Botanic Garden) reveals the Midwest’s version of big sky country. On a sunny day, you can enjoy the prairie flowers that attract an assortment of butterflies and birds, and the grasses that bend on the breeze. In the right setting, we can recreate a bit of prairie-style splendor in the landscape. A walk along a local forest preserve trail on a warm summer day, offers shade and respite from the sun. A well-designed shade garden can be as interesting as a sunny garden filled with flowers. Think “forest sanctuary”—a place to get away and recharge or reflect in your own garden. Whether you visit Disney World or Italy or go camping in Michigan, a trip can inspire your garden and how you want to use it. Disney properties are packed with colorful flowers at just about every turn. A visit to Tuscany might inspire an outdoor kitchen and pergola covered with flowering vines. And a camping trip might draw your attention to native woodland plants. 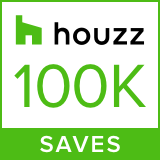 Look to online resources like Pinterest and Houzz (and check out our Houzz pages). Bookmark sites to share when you’re thinking about updating your landscape. Do you have a favorite artist or type of art that you enjoy? Paintings can provide inspiration. The Impressionist painter Claude Monet created many paintings of his garden in Giverny, France. The subtle colors in his expansive flower garden and a Japanese-style water garden inspired his paintings and continue to inspire many garden designs. Sculpture can also be an important feature in a garden. A piece of outdoor art is a focal point. There’s a real beauty to the American composer Aaron Copland’s “Appalachian Spring.” That orchestral suite is a moving tribute—the unfurling woodland wildflowers come to mind. And, with outdoor speakers, there’s plenty of other music—rock, pop, and much more—that can be part of a fun garden space for entertaining. Your garden can be a special place with a commemorative plant. A new tree can celebrate a wedding, a birth, an anniversary or the life of a family member. Did you visit a public or private garden that you particularly enjoyed? Think about what elements sparked your interest. Do you golf? Perhaps your landscape could use a small putting green for those practice sessions. Do you enjoy bird watching? There are many plants that attract birds. Take note of gardens you admire. Clip pictures from magazines or bookmark them on your phone or tablet. Take note of local homes with gardens you like. Many books provide garden inspiration. If you’ve ever read any works by the American author, Eudora Welty, you may enjoy “One Writer’s Garden: Eudora Welty’s Home Place,” an interesting look at her home and garden. “All the Presidents’ Gardens” by Marta McDowell explores Madison’s cabbages to Kennedy’s roses and how the White House grounds have evolved. Of course, there are countless books on English gardens, cottage gardens, vegetable gardens, early American gardens, perennials and much more. Oftentimes, we find inspiration by simply observing and reflecting on our surroundings. What do you enjoy most about being outdoors and being in your garden? And what do you enjoy least? Making those discoveries can lead to the creation of a truly satisfying outdoor space.